Next45 of the Best Free Fonts From 2016 You Don’t Want to Miss! Nobody likes spam, and it can be a very frustrating for WordPress site owners as it typically involves taking time to set up filters and researching the best way to block it. 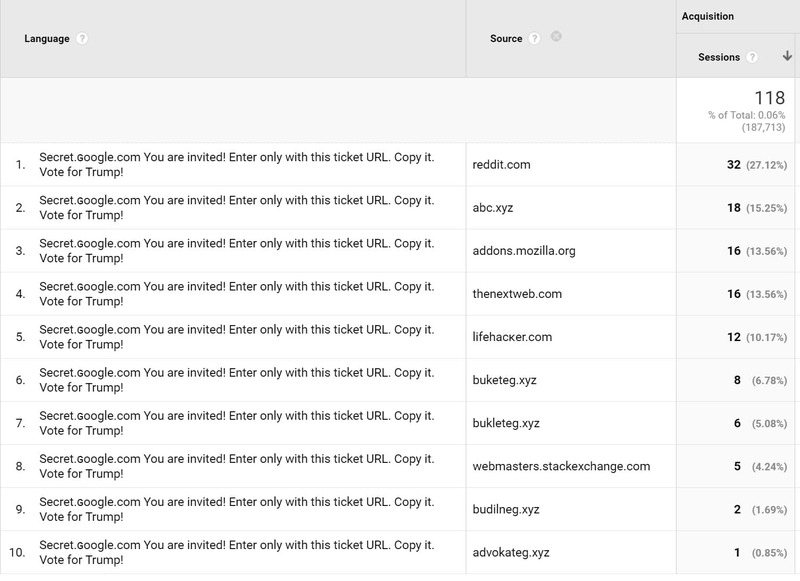 Many by now are used to dealing with referrer spam, as it something that has plagued us for years. However, in the past couple months, there has been a new approach to this, in the form of what everyone is now calling language spam. Most of you probably started noticing this right around the time of the 2016 US elections. Follow our tutorial below on the best ways block language spam and prevent it from skewing your traffic and analytics statistics. It is very important to fix these as soon as they start appearing. While referrer spam is mainly about targeting search engines, language spam typically is used by a spammer for a certain agenda or to promote their own sites or products. What happens is they manipulate the language used by real sites like motherboard.vice.com, thenextweb.com, lifehacker.com, reddit.com, etc. Language spam also typically only registers pageviews on the homepage of your WordPress site. This is a screenshot taken on a brand new WordPress site, and as you can see, between November 1st and December 17th, 929 of the 1,377 sessions was from language spam! Talk about skewing your data. The language spam problem was brought up on Search Engine Roundtable on November 9th. And if we take a look at Google Trends we can see that starting in November 2016 the activity around “google analytics spam” skyrocketed. 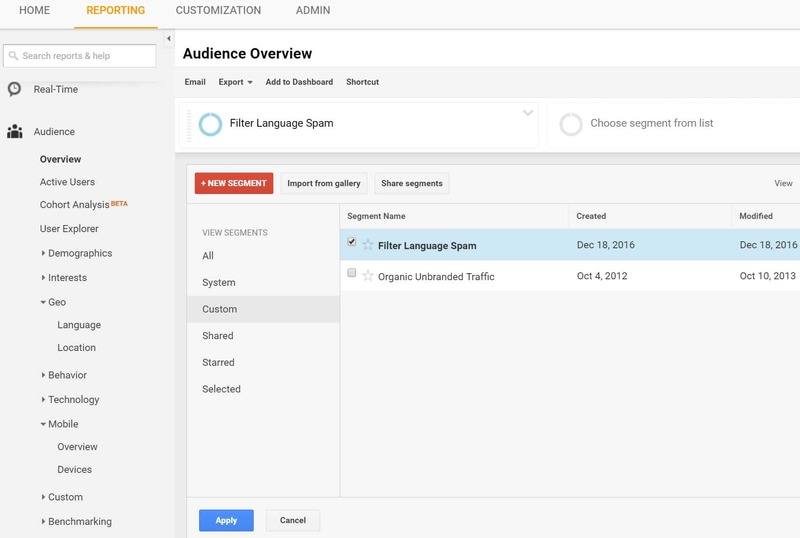 There are a couple options when it comes to tackling the language spam in Google Analytics. We don’t necessarily recommend using a WordPress plugin, as it is usually better to do this closer to the source of the problem. Also, plugins have a hard time of eliminating ghost referrals. 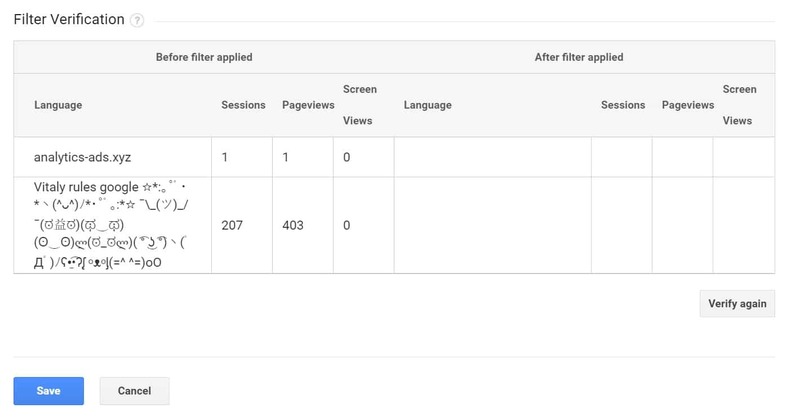 Google Analytics is actually quite powerful when it comes to manipulating, filtering, and segmenting data. And by not using a plugin you can ensure that whatever happens to the installation of your site that the filters/segments will stay in place. The first step is copy your current view so that you can filter the data only on a separate view. This is optional for your safety. You might already have a separate view in which case you can skip to Step 2. 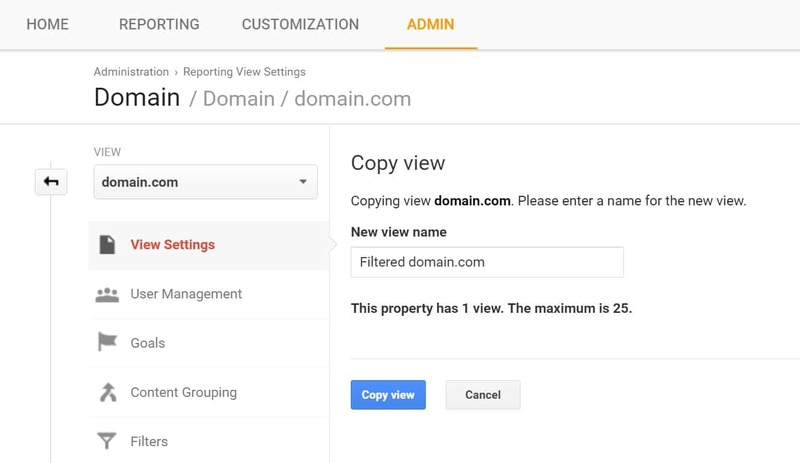 Otherwise, click into the Admin section in Google Analytics and into your current “View Settings.” Then click on “Copy view.” The reason you want to use copy is because this will carry over any other filters and goals that you already have in place on your WordPress site. 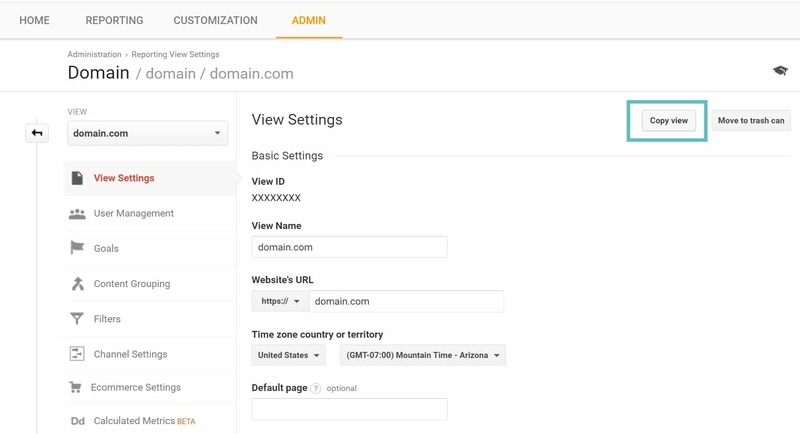 You will need “Edit” access at the “Account” level in Google Analytics in order to set up new filters, or you won’t have the ability to follow through on these next steps. And that is it! 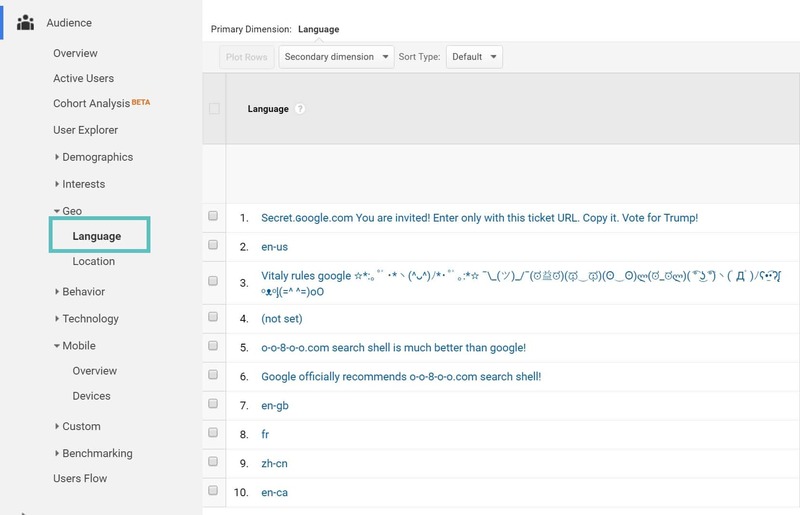 You now will only see valid/real languages pass through in your Google Analytics. 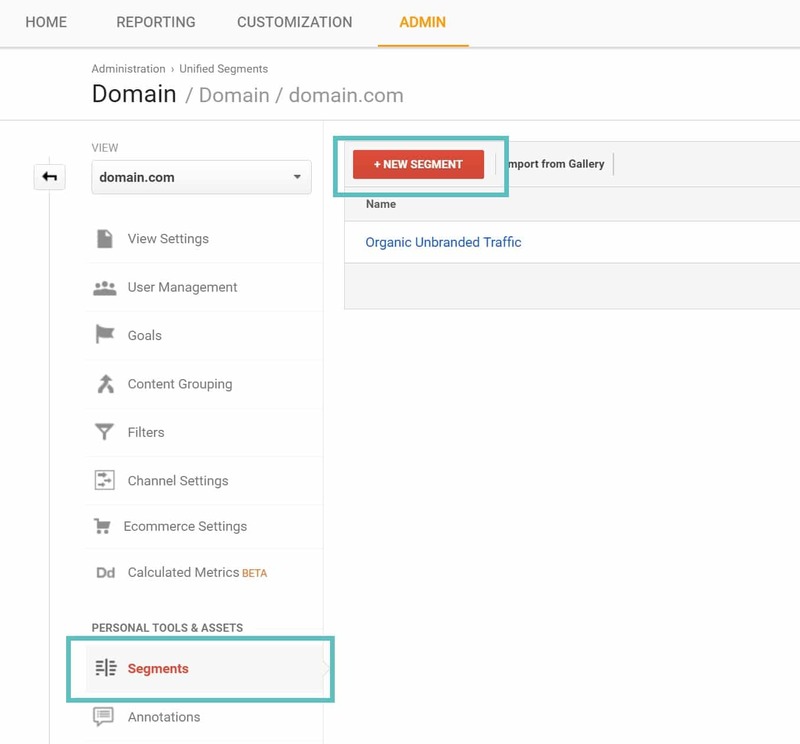 The second option you have for fighting language spam in Google Analytics is to use an advanced segment. These actually work with your historical data and are generally regarded as a safer option to alter your data as they don’t change anything. You can deactivate them at any time to return to the previous state. However, if you are using a separate view with a filter like we showed above, this is just as safe. 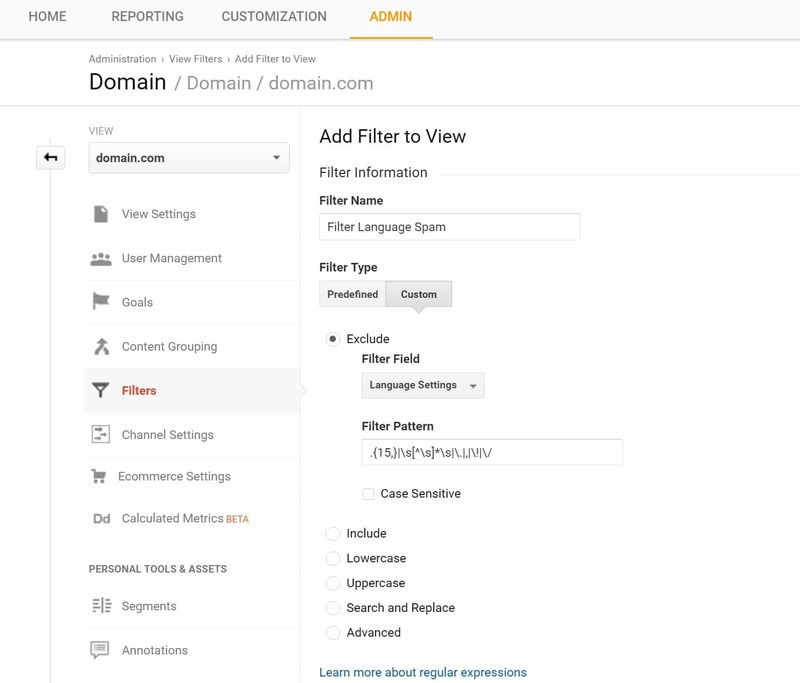 Just like with filters, you will need “Edit” access at the “Account” level in Google Analytics in order to set up new filters, or you won’t have the ability to follow through on these next steps. And that’s it. 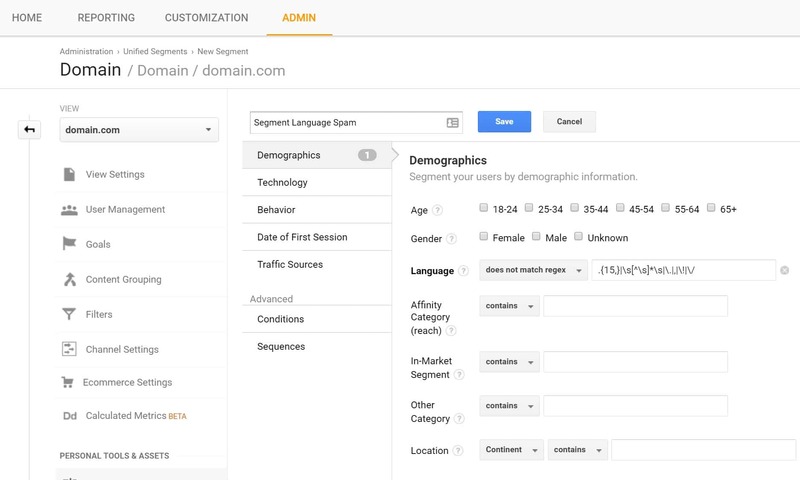 You can then select the language segment on your Analytics dashboard and remove “All Users.” Remember, segments modify the data in real-time. Tip: You can create a custom dashboard/shortcut with your new segment already applied for quick viewing later. Analytics-Toolkit: This company provides what they call an Auto Spam filter which is constantly updated for you. Analytics Edge has free pre-built segments which you can utilize with a single click. These are also consistently updated. As you can see, it is pretty easy to filter out and exclude this new language spam tactic. 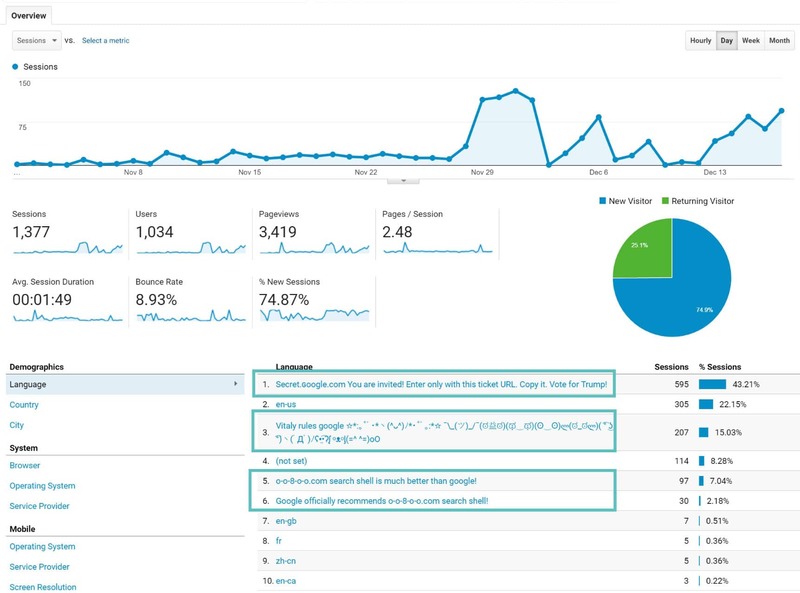 We recommend looking through the analytics on your WordPress sites and ensure your data isn’t being skewed. What are your thoughts on the language spam situation? We find it simply downright annoying and hope that in the future Google can help combat more of this useless data that business owners are now having to deal with. 45 of the Best Free Fonts From 2016 You Don’t Want to Miss!